1. In a bowl, combine flour, salt and pepper then mix well. Set aside. 2. Prepare beaten eggs into a separate bowls. 3. Dredge fish fillet into flour mixture then shake off to remove excess flour. 4. 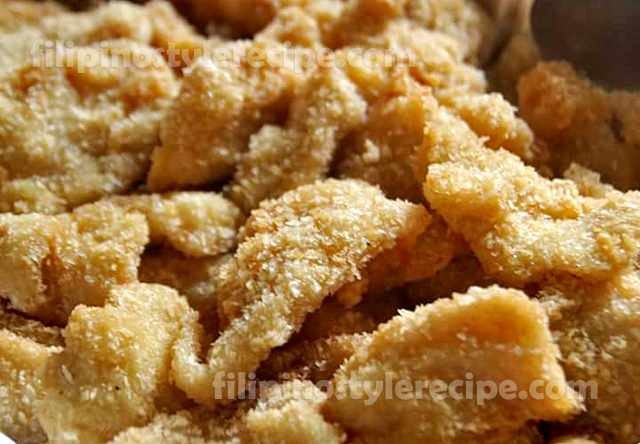 Dip in beaten eggs and dredge into breadcrumbs to coat all sides. 5. Repeat the steps for remaining fish fillets. Set aside. 1. In a pan, heat enough oil then deep fry each fish fillets for 3-5 minutes or until golden brown. Drain on paper towel and set aside. 2. Transfer fish fillets into serving plate then serve with garlic-mayo dip.